We're halfway through September and the summer holidays are well and truly fading into memory. Did you take your kids on any exciting trips? We had our first family trip abroad, flying to northern France to stay in a Eurocamp. Unfortunately it turns out Toddler gets travel sick on planes, and Girl Child was so overwhelmed by anxiety about being in another country we didn't leave the campsite until we literally had to! So I think our overseas adventures will have to be in book form for now. Which is fine, because there are some great books about exploring other countries! Here are three of our favourites in our home collection. This was bought for Girl Child by her uncle when she was just 2 or 3 years old and is so well-loved I've had to tape it back together - hence the strategic book placement in the photo above! Mouk the bear leaves his home in Paris to travel around the world, and sends postcards back from his destinations to his friends. His journey takes in Lapland, Madagascar, Australia, China, United States and more, and wherever he goes he makes new friends. The thing I love about this book is the cartoon-like illustration style, with speech bubbles strewn across the page. It means that you can gradually read the story in more detail as your child gets older, and there are lots of little side stories and jokes going on in the pictures. It also incorporates lots of interesting facts and details about the countries visited so is a great learning tool. This book was sent to us recently by Tiny Tree Children's Books from their parent company Matthew James Publishing. It's a really interesting concept - ideas and artwork were submitted by thousands of children via PopJam and incorporated into the story. The main character, Lola, is based on a competition winner on PopJam. Lola climbs into a den in her room with her toys, Jiblets the monkey and Sirius the dog, and emerges on the Watabus with her toys brought to life. They travel to Australia where Jiblets promptly disappears, and Lola and Sirius go in search of him, accidentally taking in all the sights in Oz. It's a really clever way of covering different destinations in the country, and the rhyming text makes it an entertaining read. I love the quirky illustrations, especially knowing that real children played a part in creating them! I first came across this book in our library over four years ago and I got my own copy when I briefly sold Barefoot Books at events and markets. (My main downfall as a children's bookseller is that I wanted to buy all the books for me!) It's a fun, vibrant book showing a family on holiday in Mexico, taking in all the sights from the bustle of Mexico City to the markets in ancient villages and exploring mountains and pyramids. It's another rhyming book, my favourite to read aloud, and each double page spread gives Spanish translations of key words so it's great for introducing the language. 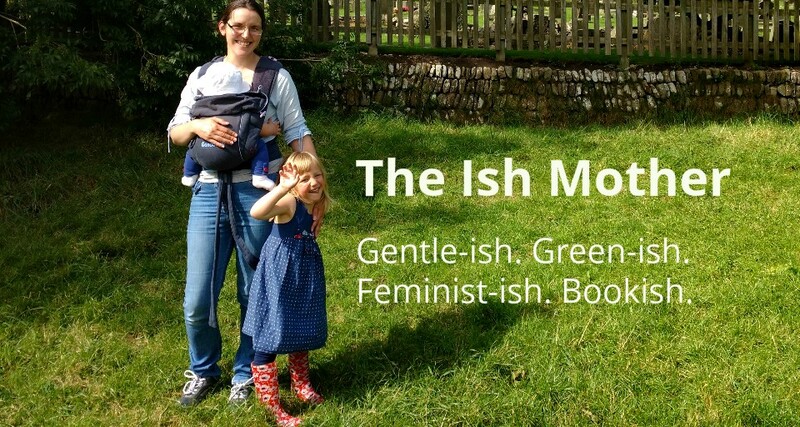 I also love that it shows babywearing, although I have to say the sling is a very strange one! 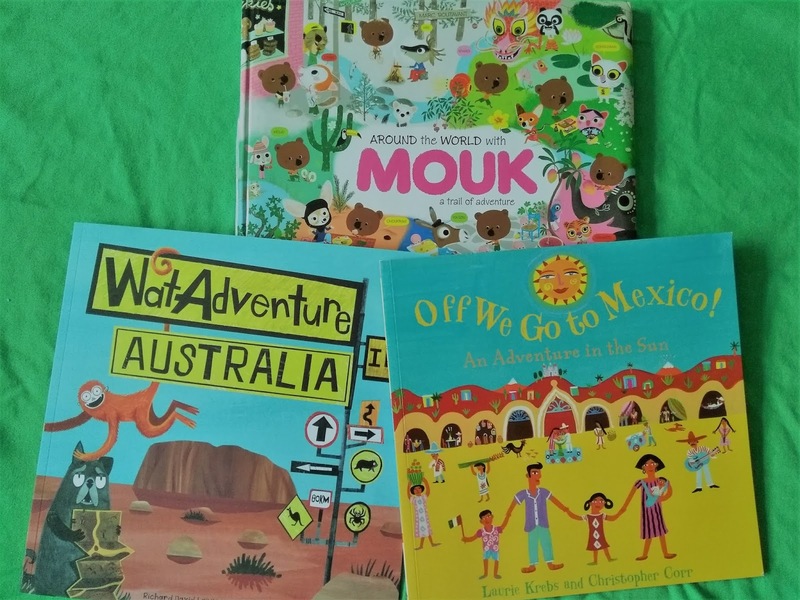 What picture books about other countries have you read to your children? Do you find reading about other countries and cultures makes them more interested in travelling? DISCLAIMER: I was provided with a copy of WatAdventure in Australia for the purposes of this review, however all words and opinions are my own. 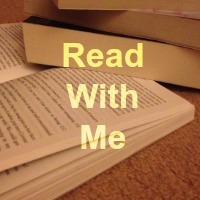 Linking up with #ReadWithMe hosted by Mama Mummy Mum and Kids Love To Read #KLTR hosted by Laura's Lovely Blog and The Inspiration Edit. Sorry to hear the travelling didn't go too well this time! You can certainly see a lot of the world through books. We had a book about Amsterdam before we went there and it certainly made me daughter look forward to it more and she knew exactly what she wanted to visit! I love the cover of Off We Go To Mexico! Barefoot Books publish some fascinating books. We love the Barefoot Books Atlas.